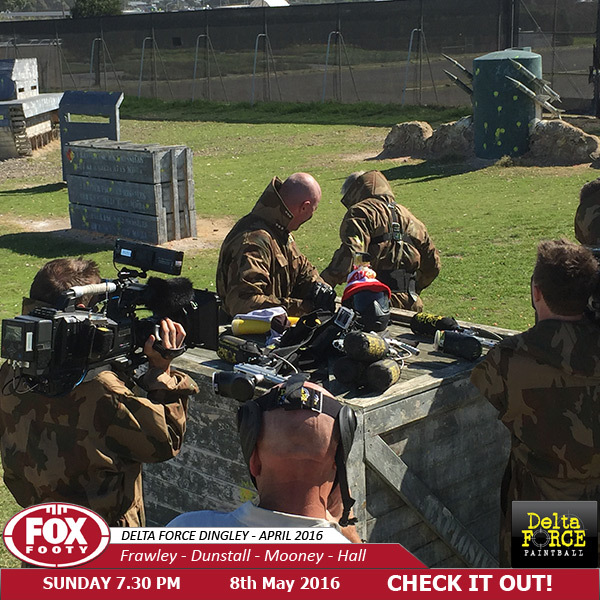 Fox Footy’s Bounce, a nationally broadcast sports program took to the fields at Delta Force Paintball Dingley. 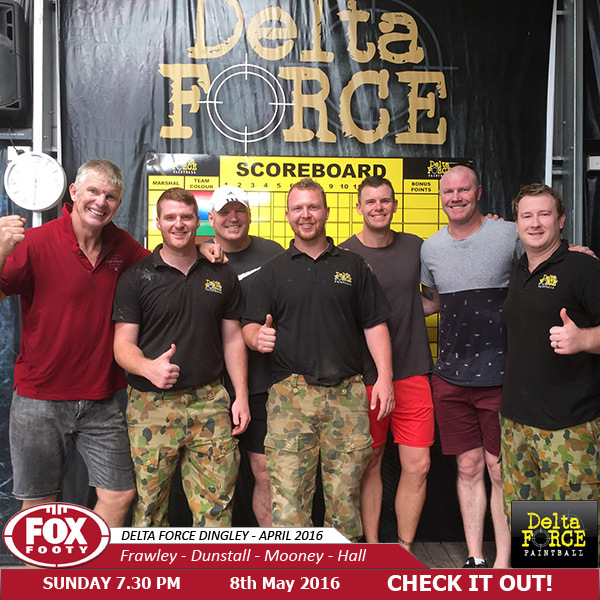 Combatants Barry Hall, Jason Dunstall, Danny Frawley and Cameron Mooney were pitted against each other in an array of challenges throughout the immersive paintball experience Delta Force has on offer. The legendary team of Barry Hall and Danny Frawley joined forces to ensure victory would be theirs. A truly selfless moment from Frawley allowed Big Bad Barry to capture the flag and relegated losers Mooney and Dunstall to a run along the infamous gauntlet. Delta Force has well and truly been stamped as the trusted paintball provider worldwide. Having previously hosted Fox Sports’ Matty John’s Show, Usain Bolt, Disney, The Block and a host of elite sporting clubs like Melbourne Storm, Parramatta Eels, Queensland Reds, North Melbourne Kangaroos, Arsenal FC, Liverpool FC and Manchester United. 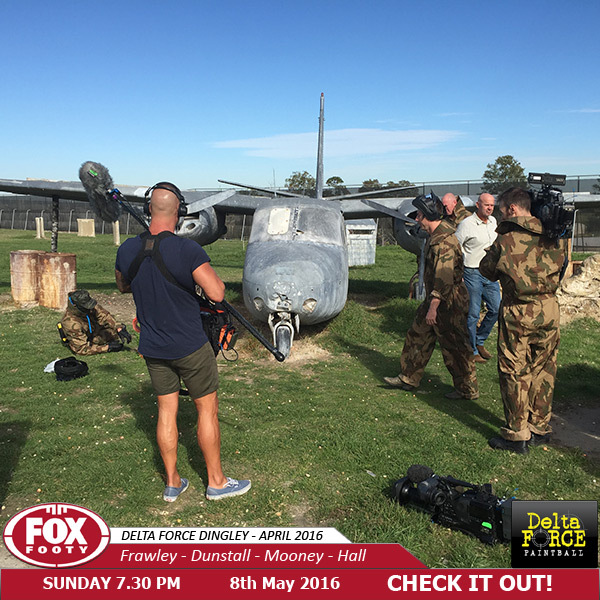 Tune into Fox Footy Channel 504 at 7:30pm this Sunday to see how the challenge unfolded. No former AFL stars were harmed in the filming of this segment. Please note: Filming occurred in a controlled and safe environment. At times, for the purposes of the shoot, participants were required to remove their safety goggles. In such instances Delta Force fully trained and qualified marshals were on hand to verify the paintball markers were empty, the safety catches were engaged and the weapons were de-cocked and unable to fire. Delta Force takes the safety of all patrons with the utmost precaution.